Apple has introduced a new, shorter Thunderbolt cable in the US, and has said that it will be launching in the UK 'soon'. Apple has introduced a new, shorter Thunderbolt cable in the US, and has confirmed to Macworld that it will be launching in the UK 'soon'. 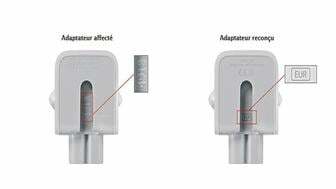 First spotted by 9To5Mac, Apple has lowered the cost of the 2m Thunderbolt cable, which was first introduced in June 2011, from $49 (£30) to $39 (£24) in the US. The company has also unveiled a new, shorter, 0.5m model, which costs $29 (£17). The shorter cable and price drop have not yet made an appearance in the UK Apple Store, but an Apple spokesperson told us that the 0.5m Thunderbolt Cable will be in the UK store "soon." The spokesperson didn't comment on whether there would be a UK price reduction on the 2m Thunderbolt cable. We'll keep you updated when we find out more. At present, the 2m Thunderbolt cable will set you back £39. Based on the new price in the US, we would expect the new price to be £29 (based on the US price with 20% VAT added). The Thunderbolt to FireWire Adapter and the Thunderbolt to Gigiabit Ethernet Adapter remain available for $29 each in the US, so no price drop there. In the UK, they're priced at £25 each.